Many of you don’t know this about me but I am obsessed with DIY projects. Anything that I can put my own personal touch on and say “I made this” is right up my alley. I especially love making gifts for others. 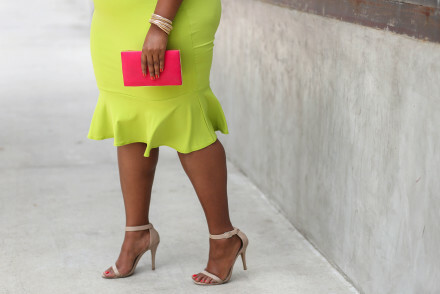 Even if it’s something small, taking the time to make something for someone you care about is a great way to either show your appreciation, say thank you or even a “just because” type of gift. 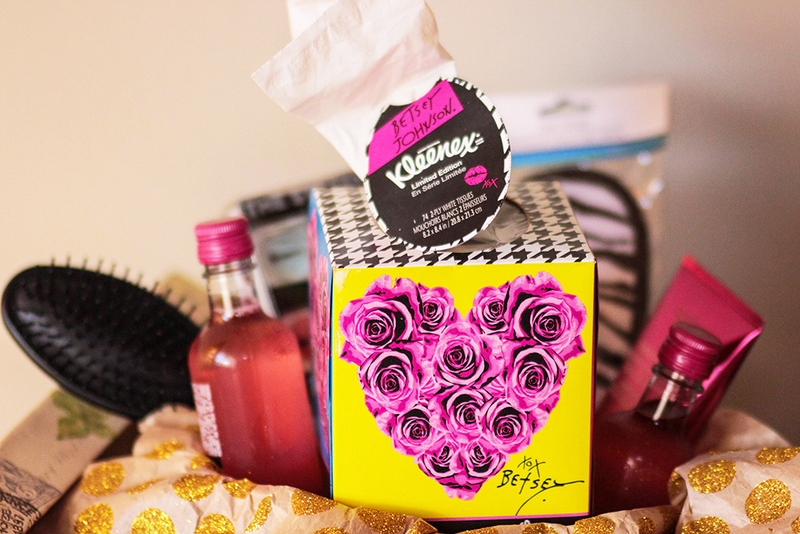 I got the idea to make a DIY Girlfriends Survival Kit gift basket for my friends using KLEENEX® Betsey Styled Single Packs. So KLEENEX® is one of those products that everyone needs but its not exactly an exciting gift to give…until now. 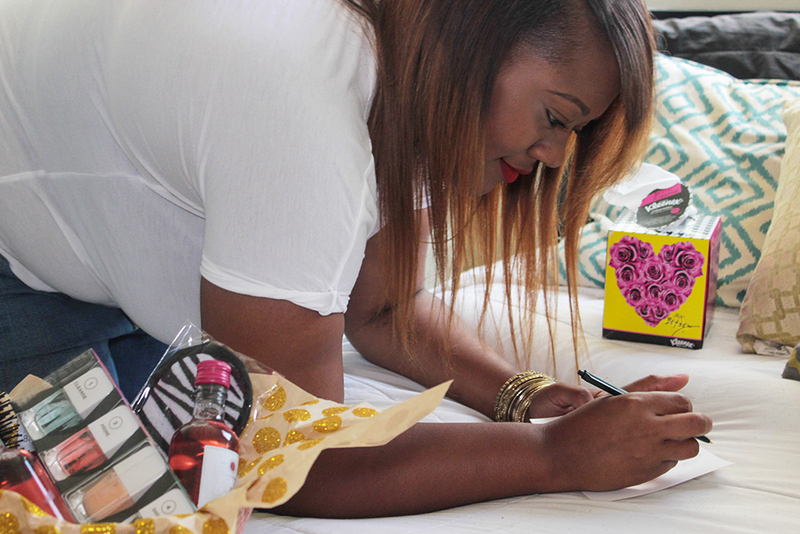 The fun and fabulous designer, Betsey Johnson, teamed up with KLEENEX® to give these boxes a makeover like only Betsey Johnson can do. 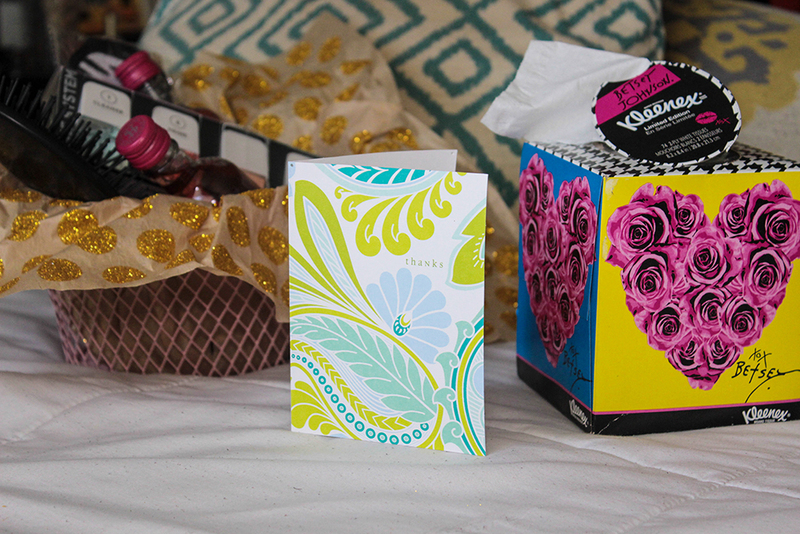 Bright colors and funky patterns now surround the perimeter of the KLEENEX® box, making it a perfect addition to any gift idea. So what exactly goes into a Girlfriend’s Survival Kit? I’m glad you ask! Here’s the list of items that every girl needs and will come in handy at any given moment. And last but not least, no gift in my book is complete without a hand written card. In this case, I wanted to thank my girlfriends for always being there for me, always supporting me and always making me laugh to the point where my stomach hurts. Cheers to all the fun memories that we’ve shared that are priceless. I made it especially emotional so that they would get use out of the KLEENEX® sooner. 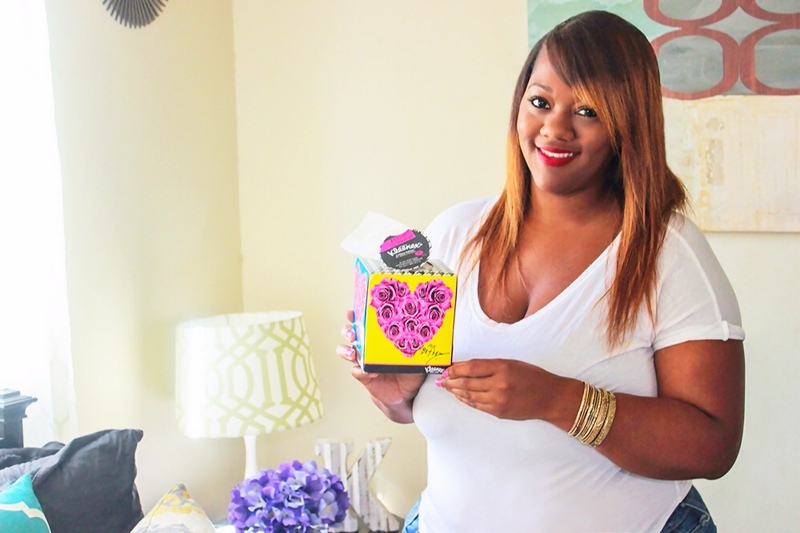 Both the KLEENEX® Betsey Styled Single Packs (74ct.) and KLEENEX® Betsey Styled Wallet 3 Packs are available now at Kroger stores. 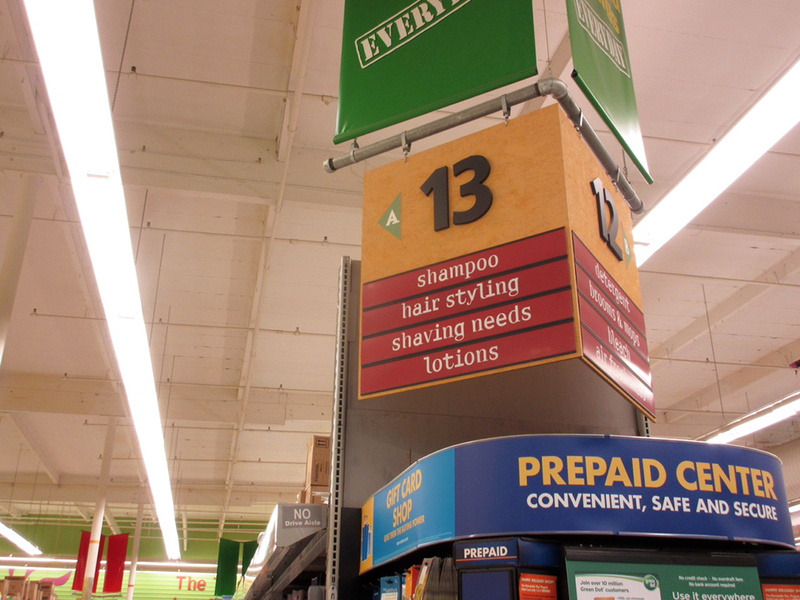 I purchased mine at my local Food 4 Less store. Available in select Kroger and Kroger banner stores. Purchase two specially marked packages of Kleenex® Tissues in one transaction at Kroger stores and receive a reward code valid for a $5 Visa Digital Rewards Virtual Account via text message between 4/1/15 – 4/30/15. Reward code must be activated by 5/31/15 and is void if not activated by expiration date. Virtual Account expires 2 months from the date of activation and will be void if not used by the expiration date. 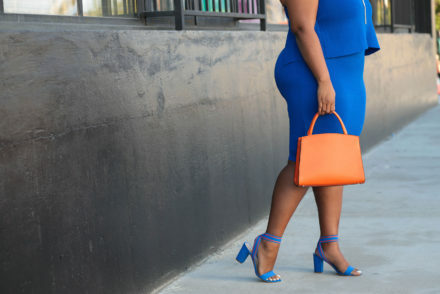 Virtual Account can be used online wherever Visa debit is accepted for digital content purchase(s) up to $5 and use governed by terms in Accountholder Agreement https://www.activaterewards.com/Kleenex/terms_and_conditions. Digital content may not be available for all devices. No cash value. Not for resale; void if sold or exchanged. Cannot be replaced if lost or stolen. Not valid with any other offer. Offer and Virtual Account valid only in the U.S., excluding U.S. territories. For full participation instructions, go to www.activaterewards.com/Kleenex. Issued by MetaBank®, Member FDIC, pursuant to a license from Visa U.S.A. Inc. Digital Reward is powered by Fandango Loyalty Solutions, LLC. ©2015 Fandango Loyalty Solutions, LLC. All Rights Reserved. I hope you enjoyed my gift basket idea today. 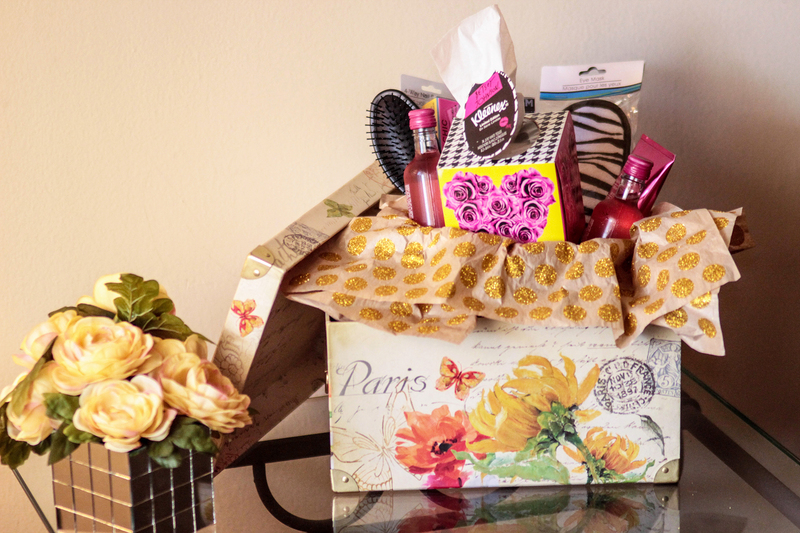 You can find more gift inspiration with KLEENEX® at http://cbi.as/5doi. Who will you create a gift basket for? Very pretty basket & box! Isn’t it cute? Lol Thanks!